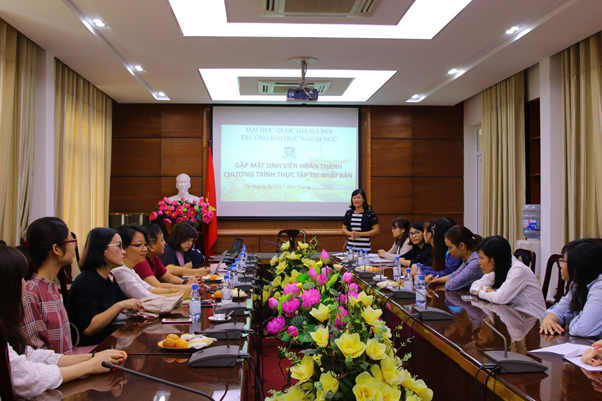 On December 6th, 2018, ULIS-VNU held a meeting with students who completed their internship program in Japan (Okinawa, Hiroshima, Ishikawa) from August 2017 to November 2018. 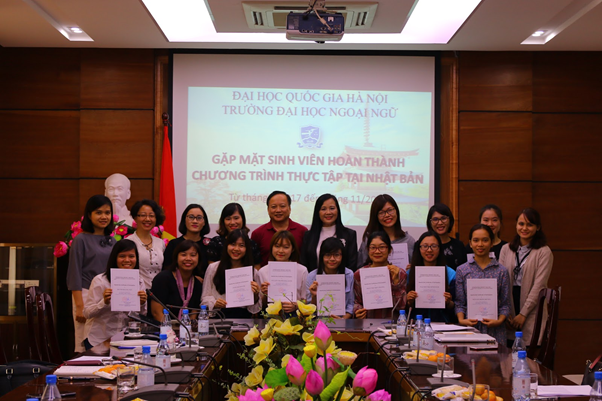 Attending the meeting were Vice President Ngo Minh Thuy, members of the Steering Committee of Japan internship programs, leaders and specialists of the Politics and Student Affairs Office, representatives of the University’s partners, and representatives of 13 students who completed their internship programs. 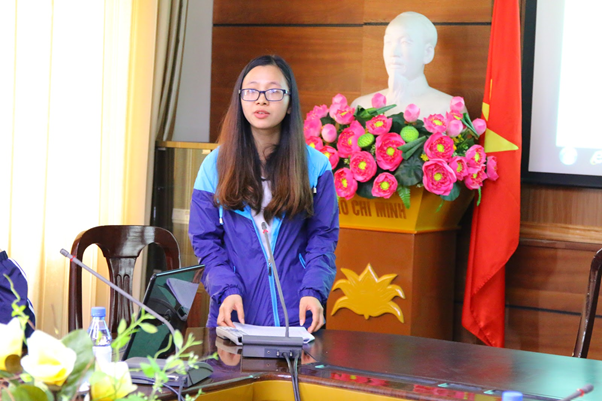 Speaking at the meeting, Vice President Ngo Minh Thuy said that through these programs, students would have the opportunity to practice their language, learn about local culture, work in a professional environment, and experience internship abroad. With about 200 students participating in the program so far, the program proved its effectiveness and significance.